Despite the fact that bad weed is going the way of the dodo, there still are people struggling to know whether they bought a good sack of weed…or a bad one. Today we will cover the differences between good weed vs bad weed. We’ve already covered good and bad weed in previous articles, however, today we’ll be doing a comparison of the two. We got this theme from “A Stoner’s Journey EP6” where Splint & Jay [the hosts of the podcast] spoke precisely about good and bad weed. Let’s summarize what they were talking about. The first thing that any stoner should do when buying weed is to examine the purchase. You’ll instantly know whether you have decent weed or shwag on your hands. There should also be hardly any leaf on the nug. Littered with seeds, stems, and leaf. 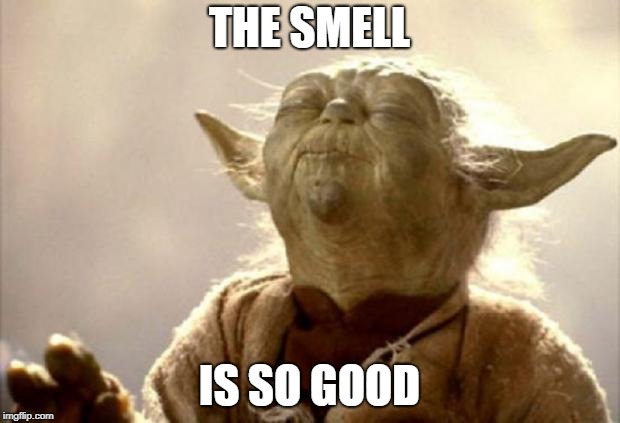 If you’ve got some quality bud on your hands, you’d immediately smell it. This is because good weed would have a developed terpenoid profile. You’d easily be able to smell the sweet pungent smell of the bud. In fact, in many cases, it’s so pronounced that you’d be able to smell it through the bag. If this is the case of your weed, congratulations…you’ve got some quality bud! On the other hand, if your baggy of weed hardly has a smell too it or it smells like wet or dry grass, you’re probably sitting on terrible weed. In these cases, the cannabis plant either was harvested too early or is improperly cured. Now that you’ve looked at it and smelled it, take a nug and examine it closer. 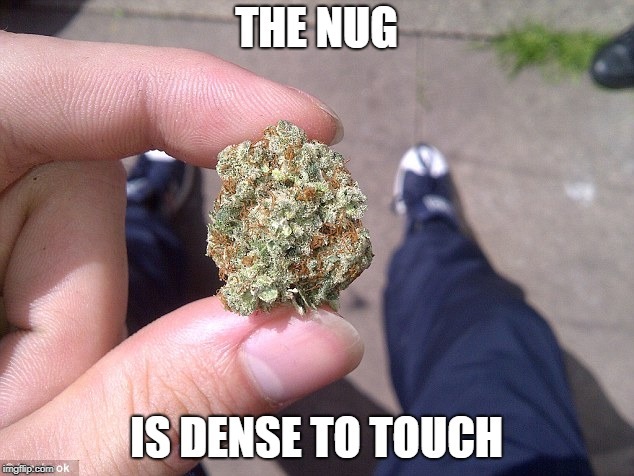 If the nug is dense to the touch, with a bit of weight and sticks to your fingers, it’s good a weed! You should hardly feel any stems or seeds on the nugs. There should also be very little leaf on the nug. It should also be dry but squishy in relation to moisture. For bad weed, the opposite is true. You’d feel it either too dry or too wet. There would still be a leaf on the buds and potentially seeds. If the bud is too compressed, meaning you have to break it down, it means it was probably shipped across the border. No Bueno! Finally, there are telltale differences between good weed and bad weed. For starters, good weed would have a pronounced taste. One hit should be enough for you to feel the effects. 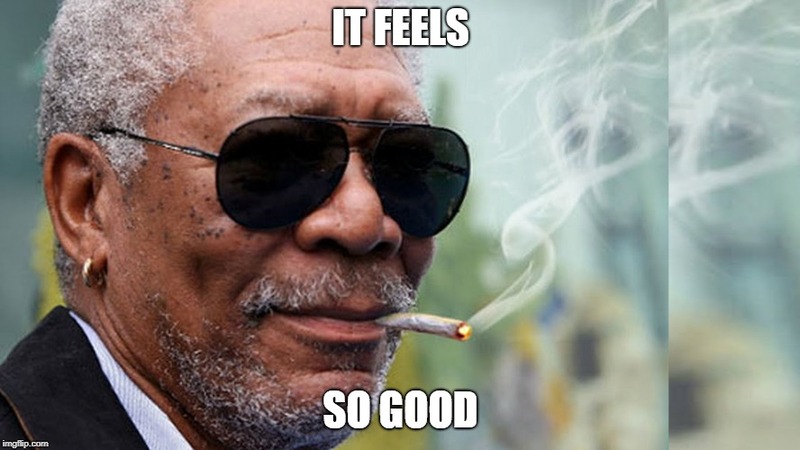 In fact, if its premium weed…one hit should be enough to get you high. Depending on whether it’s sativa or indica, you should feel the associated effects as well. Sativa would provide you with a clear head high, whereas indica a dense body high. Bad weed will taste bitter. You’d notice immediately that the smoke is harsh. This is either due to pesticides or not flushing the plant properly. The effect would result in a headache, blood pressure issues, and a headache. It’s important to know the difference between good weed vs bad weed. I hope that this quick guide showed you exactly what you needed to know to identify a good bag of weed.